Home » Uncategorized » First Open House of the Year! 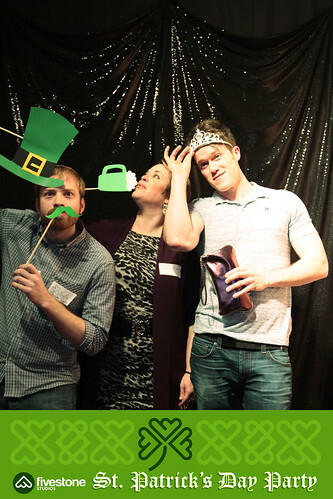 Last week we had a St. Patty’s Day themed open house. It’s been awhile since we’ve opened the doors up, and celebrated in our cozy space. Lot’s of folks showed up and drank Guiness, ate corned beef sammies, and took the time to catch up with us. It was awesome! Not that we needed another excuse to throw a party, but we did need to introduce our newest team members- Tara VanLaeken and Mark Pfeffer! We put them through a rough Q&A, which you can scroll down to see. We also created a little homemade photo booth, and a flickr account. Check out some of the snapshots!